Located next to the Historic Centre, Malaga"s El Corte Inglés is one of the most emblematic shopping centres in the city. 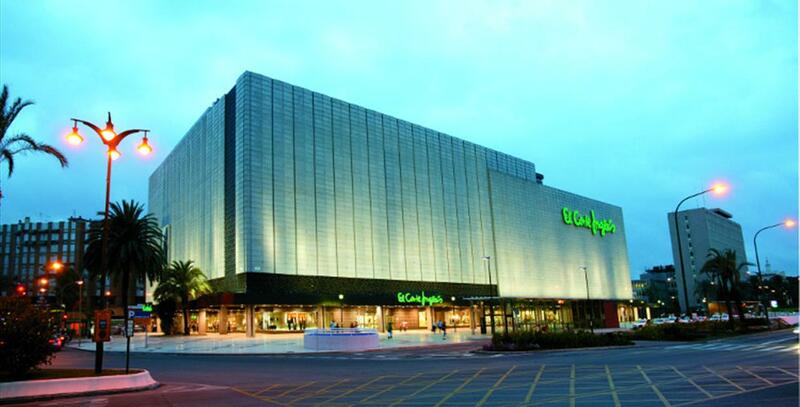 El Corte Inglés are leading department stores in Europe with more than 80 shopping centres throughout Spain and Portugal. A place where you can find everything from the best souvenir of your stay in our country to the most exclusive brands in fashion and accessories, perfumes, jewellery and luxury goods. On the top floor of Malaga"s El Corte Inglés, El Ático (the Penthouse) houses the Gourmet Experience, a unique space combining different cutting-edge cuisines, gourmet products and the exclusive Terrace Lounge where you can enjoy wonderful views of the city of Malaga. The best shopping experience for your complete enjoyment, rewarding your visit to our shopping centres with a wide range of incentives and benefits. You can contact us to arrange a Shopping Experience Tour, exclusively for tourists who are non-resident in Spain. See conditions at the Tourist Information Point.